Imperforate, no watermark, lithographed, without gum. Printed in Nouméa, New Caledonia. 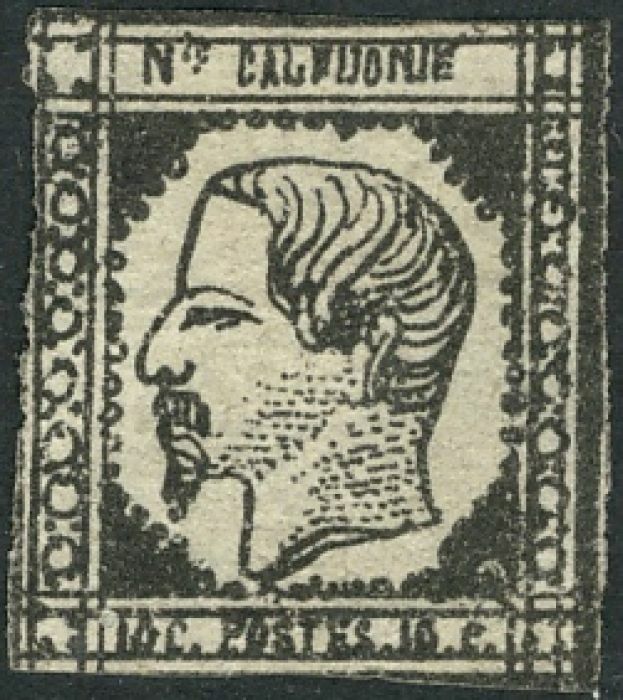 Mackay  speculates that the New Caledonian authorities were unaware of the general issues planned for French Colonies while this stamp was being prepared locally. It was allowed to remain in use until September 1862, when it was replaced by the general issue. 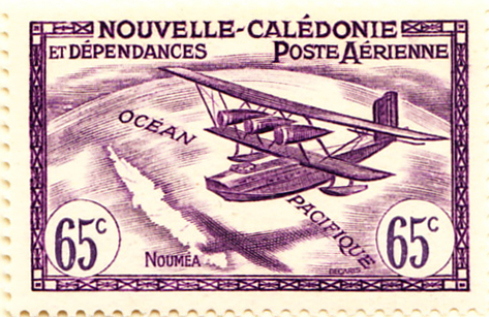 Scott dates the first airmail as 1938, a rather attractive seaplane image, though there was a splendid 1932 overprint (expensive and often forged) to celebrate the first flight from Paris to Nouméa by Verneilh, Dévé and Munch. Sources: ScS, SGP6, JM1 . Images from David Olson and Sandafayre.